Have you entered the Betty Crocker giveaway yet? Be sure to do so by clicking the link below! We love love LOVE pizza in this house! We love take out pizza but I also really love to make homemade pizza. 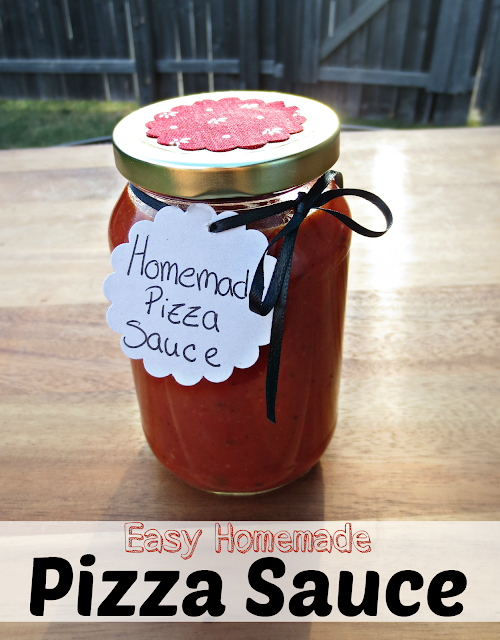 This is my go-to sauce for all things pizza related! It's so easy and so yummy, you will never go back to store-bought again! In a small saucepan on medium high heat add your butter with your olive oil. Once the butter has melted into the olive oil, add your onions and season with salt & pepper. Cook until the onions start to turn very light golden brown, about 3-4 minutes. 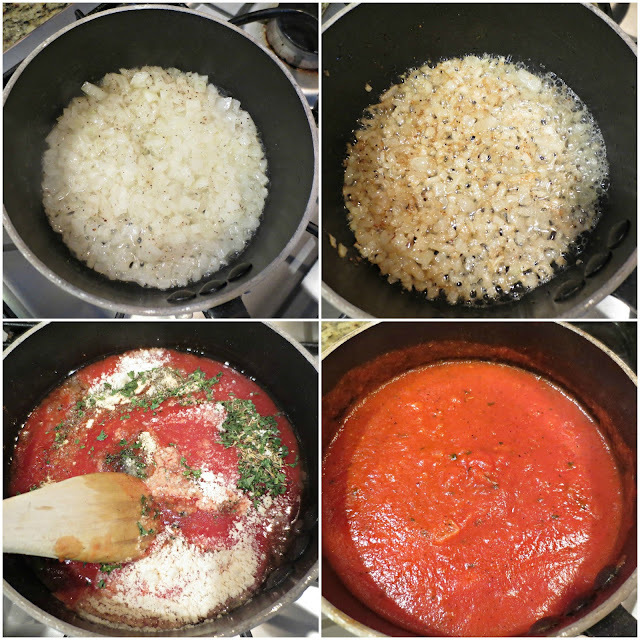 Turn the heat down to medium and add your tomato sauce, all of the seasonings/herbs, and the parmesan cheese. Mix everything well, cover and let simmer for 10 minutes. Use right away or let cool and store in a air-tight container in the fridge for up to 1 week. Hi! This looks great! I'm just wondering, do you think this recipe would work if you wanted to process and can the pizza sauce? I love the simplicity of store bought canned sauce but hate all the preservatives and gunk, so I wondered if this would be a good alternative. It'd be nice to can in jars of pizza sized amounts. Thanks! There is no reason you could not can or even freeze this recipie. I would recommend making your own fresh tomato sauce tho to cut down on the very high sodium in store bought tomato sauce-let alone the cost!